By David Ponce on 02/09/17 • Leave a comment! We’re not going to get all poetic about how awesome retro games are, just because it’s pretty obvious (if you’re above a certain age) that they are. And it’s not just about playing the games, but also the aesthetic that grips us. 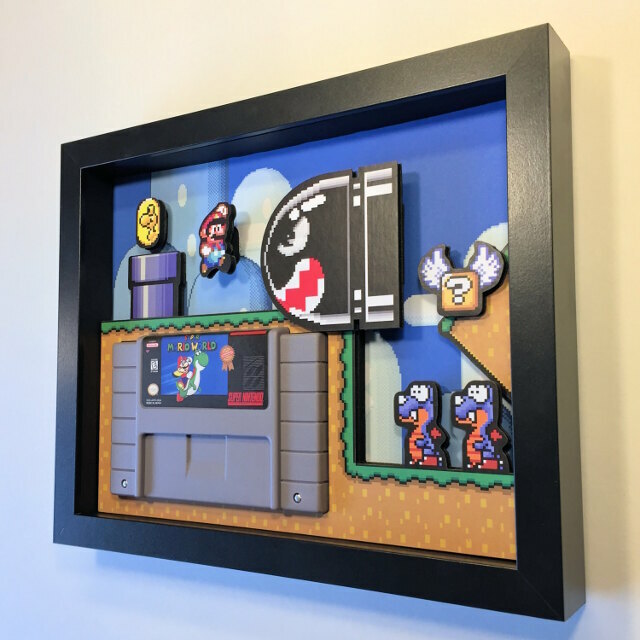 That’s why we like these amazing shadow boxes by Etsy seller GlitchArtwork. They’re very reasonably priced between $25 and $75, and some of the Super Nintendo ones even come with the cartridge in the display. 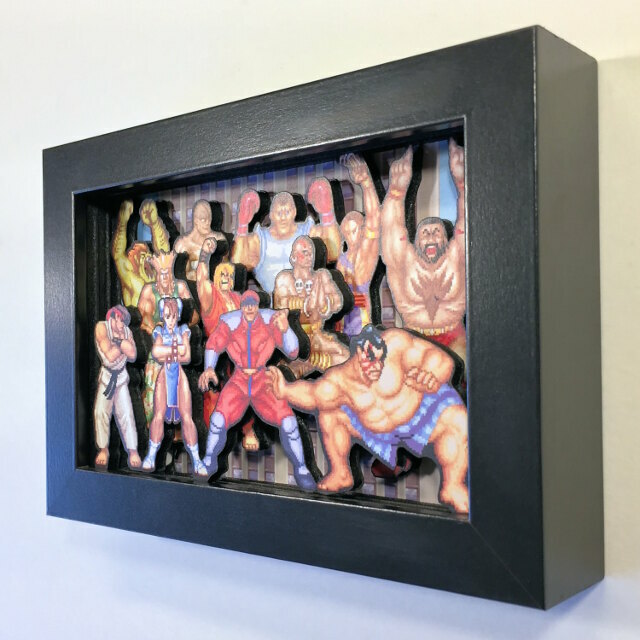 With titles like Pong, Ghosts and Ghouls, Street Fighter II, Mega Man and more, you’ll be able to deck out your living space in style for very little money. Ever tried burning ants with a magnifying glass? No? I can’t say I have, but mostly because even as a kid I didn’t feel like screwing around with keeping the magnifying glass at just the right distance from the ground, nor did I feel like chasing the ants around. But with Febo, you can use the sun’s power for entirely different purposes than entomological terror. 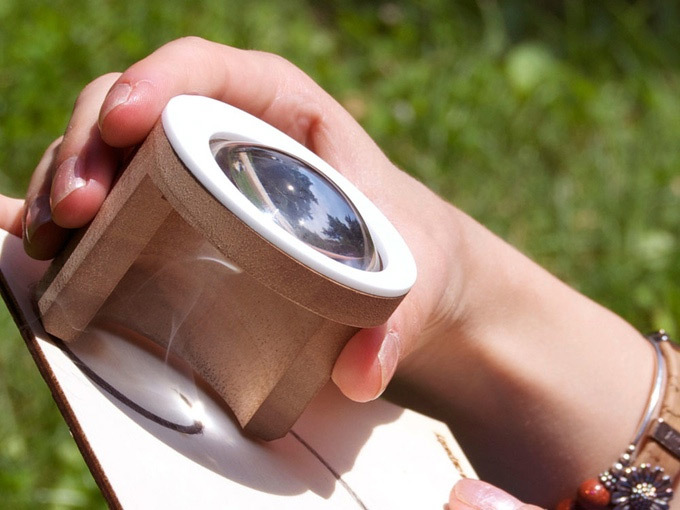 It’s a little device that makes it super simple to engrave wooden surfaces using nothing but the light emitted by the sun. It keeps the magnifying glass just the right distance away from the surface, making it so the focal point (and spot of greatest intensity) is just where you need it to be. 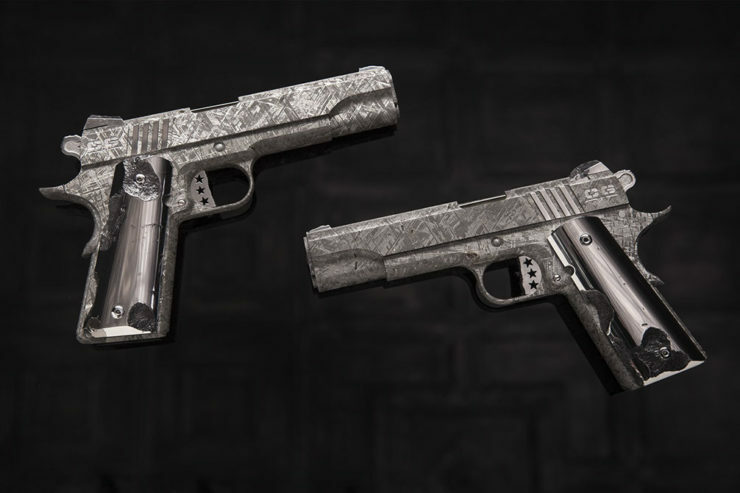 Prices start at $44, and go up depending on the materials. By David Ponce on 09/02/16 • Leave a comment! 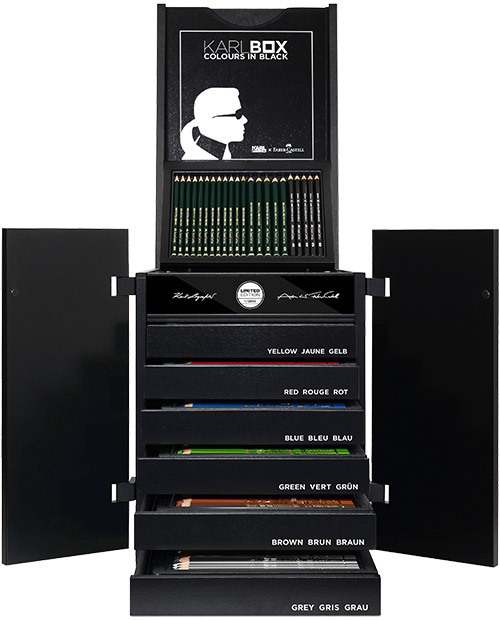 Of course a limited edition, Karl Lagerfeld colouring box doesn’t come cheap, and this one clocks in at $2,850. By David Ponce on 08/04/16 • Leave a comment! Rings and other jewelry, as you well know, don’t necessarily have to be made from precious metals and cost a fortune. 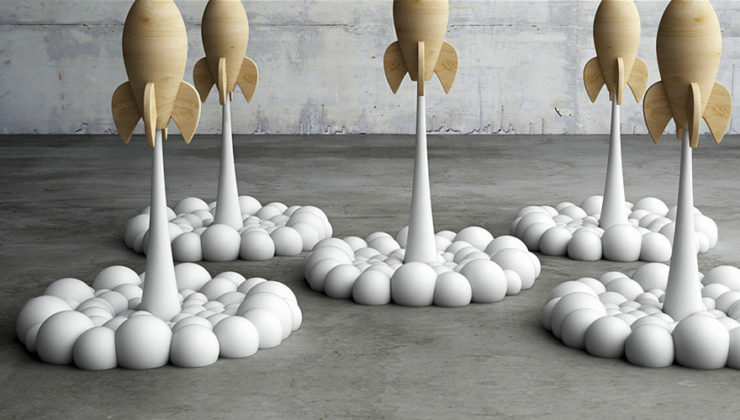 In fact, some of the most eye catching pieces are made from mundane materials. 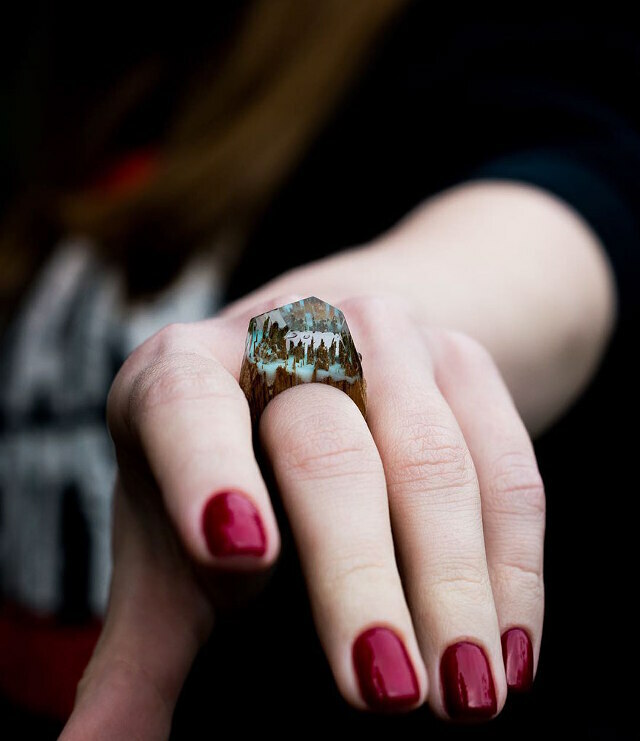 The rings from a company called Secret Wood are made from resin and wood, and we’d pick them over fancy designer jewelry any day. 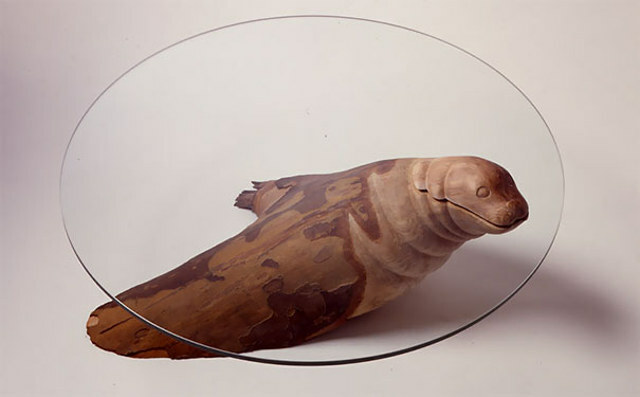 They take a piece of wood, split it, and fold it into a ring shape, then cast the splintered ends into a clear resin. 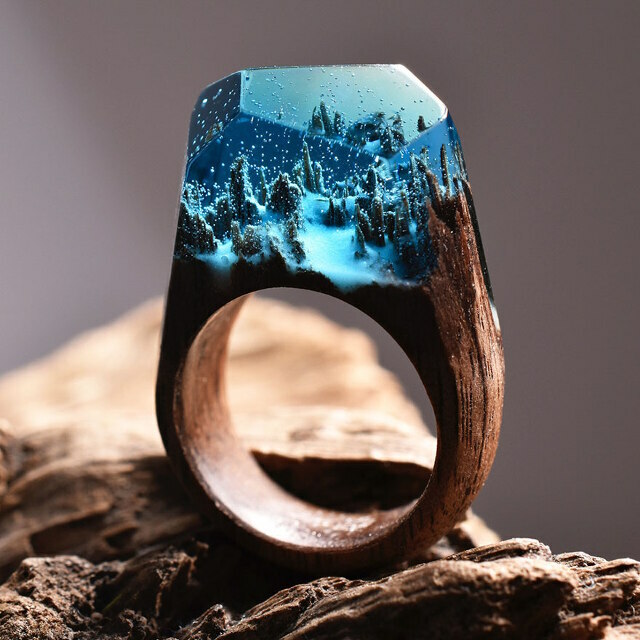 It’s the splintered bits of wood that create the otherworldly landscape, and since each one is hand made and no two pieces of wood split quite in the same way, each ring is unique. 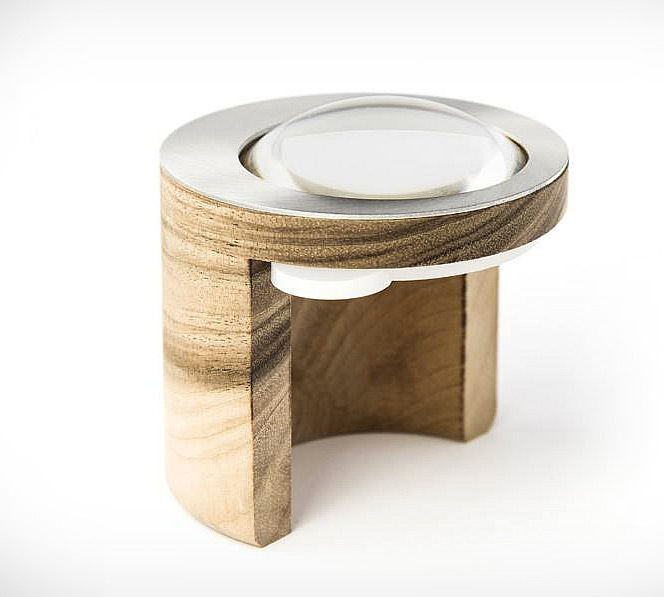 It’s a cool idea, and one you’ll have to pay between $90 and $180 to own, but you’ll have quite the conversation piece on your finger for your troubles. Hit the jump for a gallery. Sometime around 1490, Leonardo Da Vinci drew the Vitruvian Man, a depiction of the ideal body proportions as suggested by the architect Vitruvius. The drawing shows two superimposed men with arms outstretched, inscribed within a circle and a square. You’ve seen it; it’s an iconic piece. 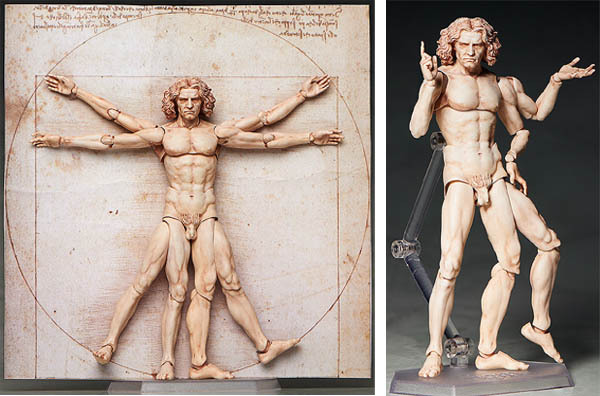 And now, well… now you can also play with the Vitruvian Man action figure. 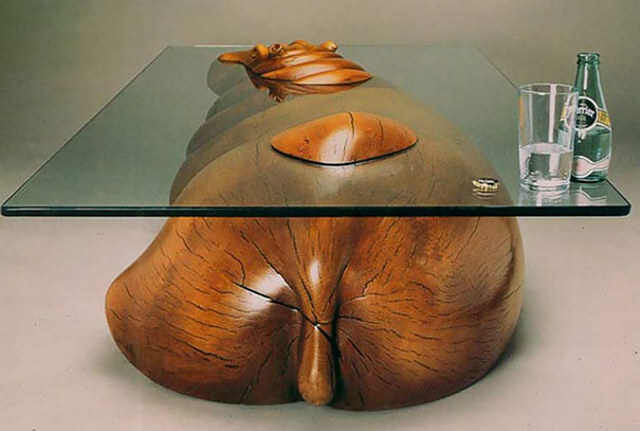 It’s made by Figma, a Japanese toy maker who also produces the Venus de Milo and Michelangelo’s David. 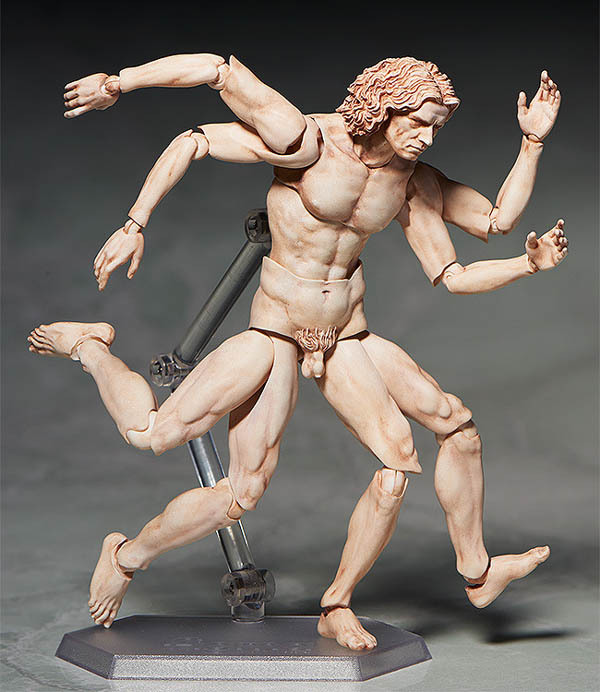 It’s kind of creepy considering it has four legs and four arms, but then again it wouldn’t be the Vitruvian Man if it didn’t. It’s $59. 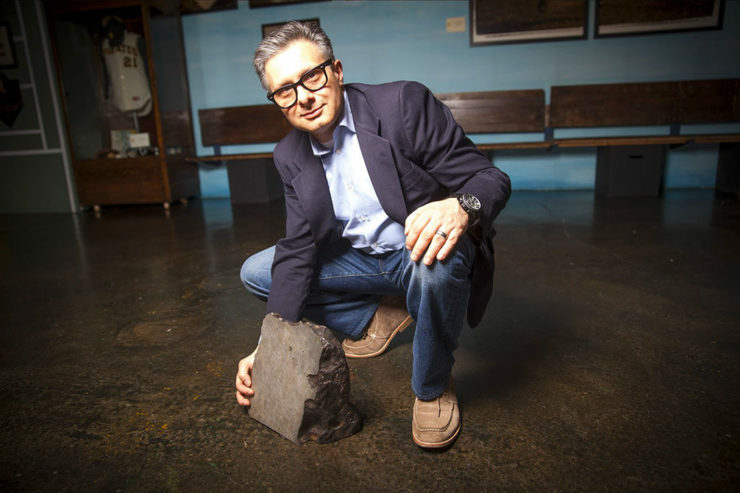 Look, you can burn some wood the old fashioned way, in a good old classic wood burning stove. Or you can spend a not-too-ridiculous amount of money and do the same thing in something that’ll at least get you a couple of amused nudges at your next garden party. 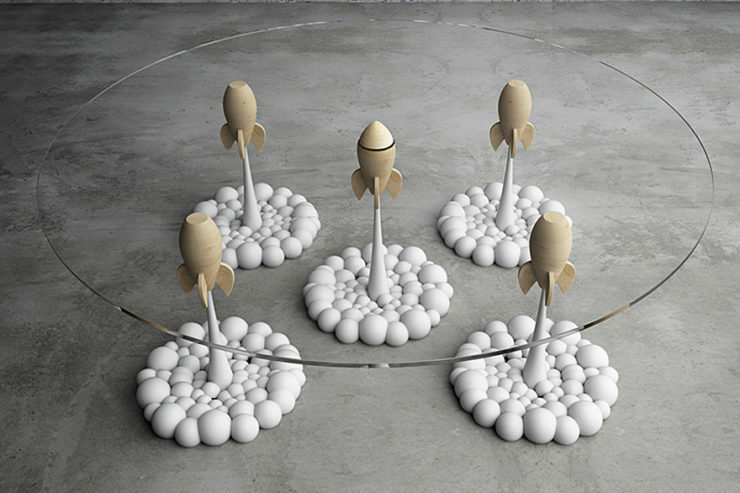 Or wherever it is that you’d wanna use and display this thing. 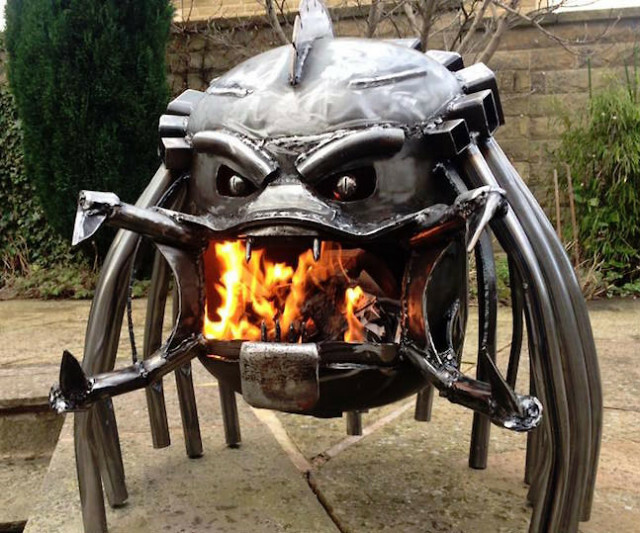 It’s made by a company called “Burned by Design LTD”, and each stove appears to be carved out of a propane tank, with metal pipes and bits welded on. 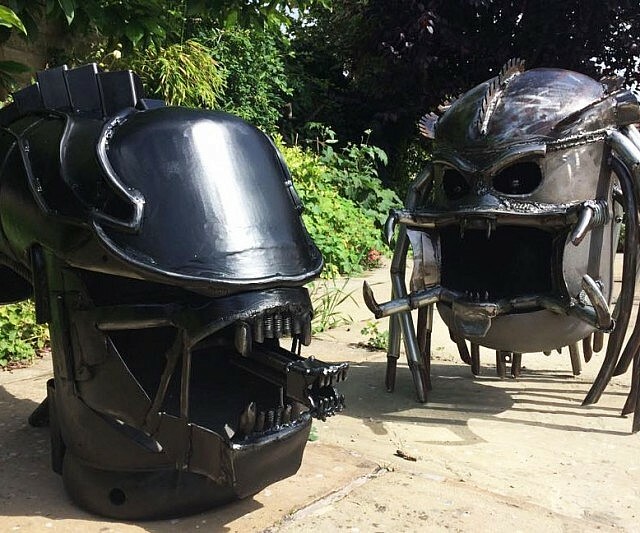 Prices start at $460, and go up to $995 depending on the design, which include Storm Trooper, Boba Fett, R2D2, and Alien Xenomorph, as pictured. 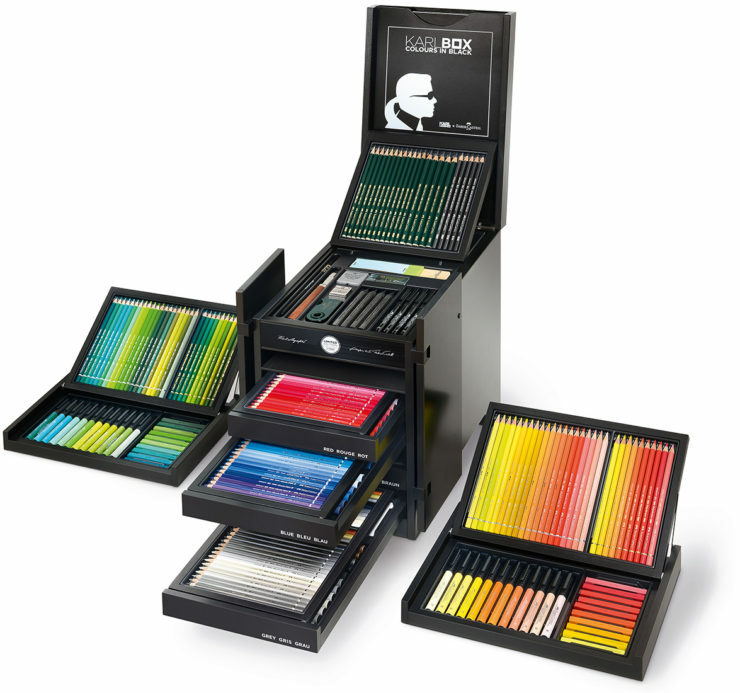 That one’s $995, incidentally.